In this video, we are taking a closer look at the Katana by PolarPro for the Mavic Air. 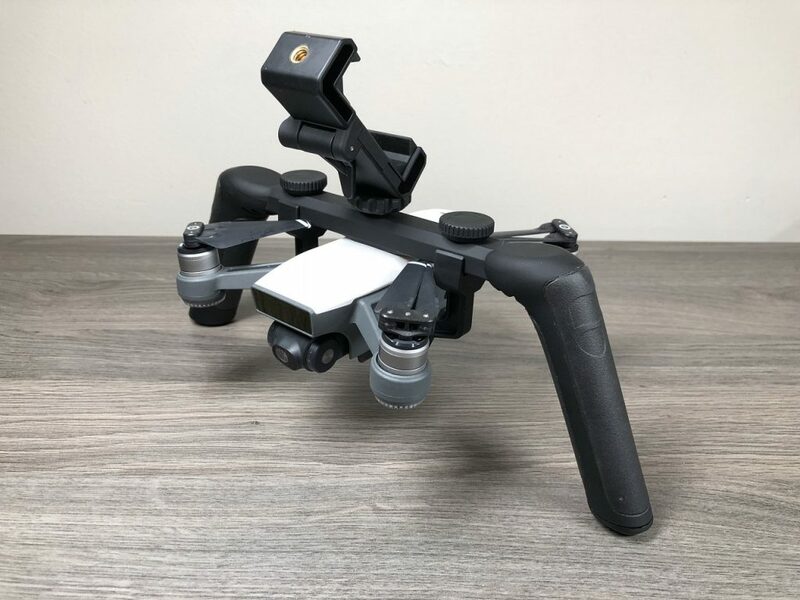 This unit turns your DJI Mavic Air into a powerful hand-held stabilized camera rig. 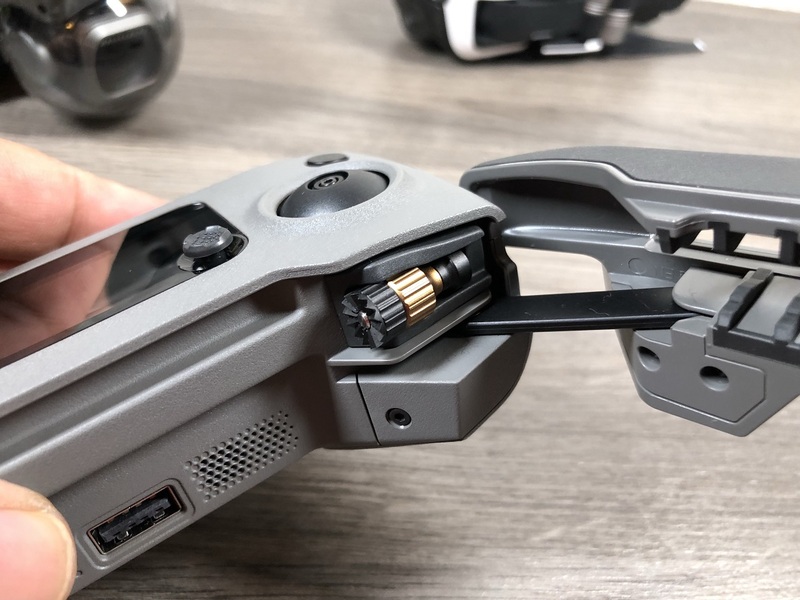 Now some may ask why you would want to turn you Mavic Air into a hand-held camera, a better question is why wouldn’t you want to! The Mavic air has a really good quality camera on board it records at 4K 60 FPS and at 100 MBS. The Mbits per second is higher than the iPhone and the GoPro Hero 6 so theoretically can capture a higher quality video. With its built-in gimbal for stabilized footage, it makes for a great hand-held option and doesn’t require the expense of perhaps buying another camera if you wish to capture ground footage. One of the really nice features of the PolarPro Katana is the fact that it is expandable. If you purchase a kit for the Mavic Air, but later purchase a DJI Spark the unit will be compatible. All you need to do is purchase the Spark specific mount, you don’t have to purchase a complete kit again. PolarPro also sells separately or in a kit a T-Grip handle that makes it easier to capture low footage. 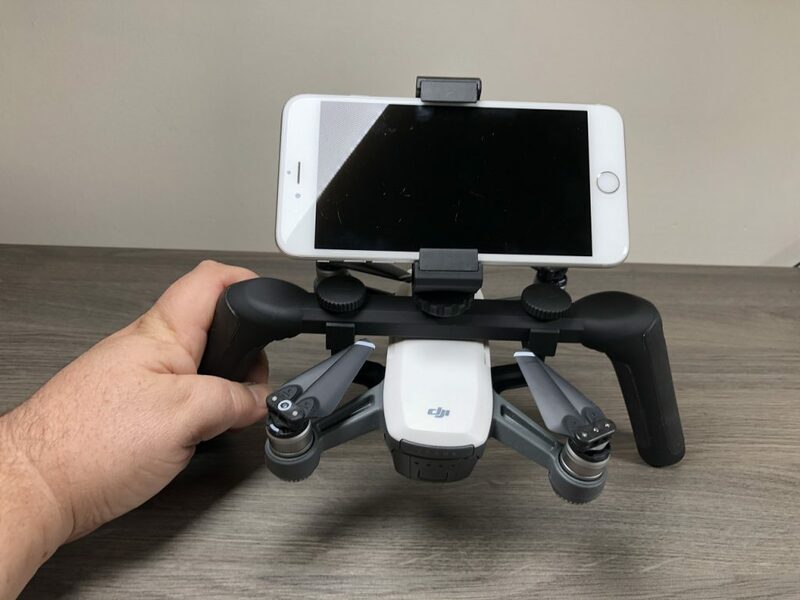 Currently, the PolarPro Katana is compatible with the DJI Spark, Mavic Air, Mavic Pro/Platinum and I am confident that as DJI releases new compact drones, Polar Pro will make new mounts for them to make them work with the Katana system. I have been using the PolarPro Katana for about a month now, I have had a good amount of time to test and play with it. I am really pleased with its performance and ease of use. Mounting the Mavic Air or other DJI Drones is quick and easy. 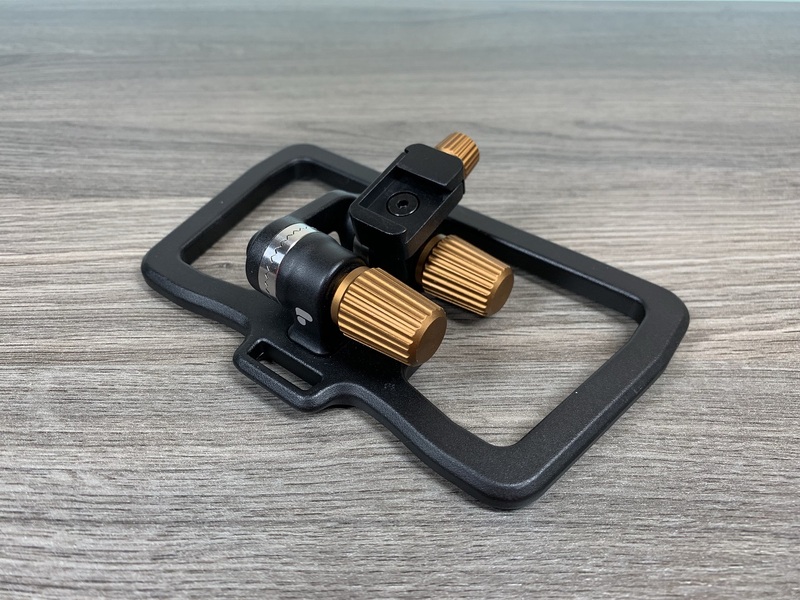 The handles make it comfortable to hold and really helps you grab some beautiful stable footage. It comes apart nicely and easily fits into your backpack until your ready to use it again. Polar Pro Katana for DJI Spark, Mavic Air, and Mavic Pro. Test footage and review. The PolarPro Katana is well designed and comfortable to hold. All the parts included when you purchase the PolarPro Katana system for DJI Mavic Air, Spark or Mavic Pro. DJI Spark mounted in the PolarPro Katana. Mavic Air mounted in the PolarPro Katana. 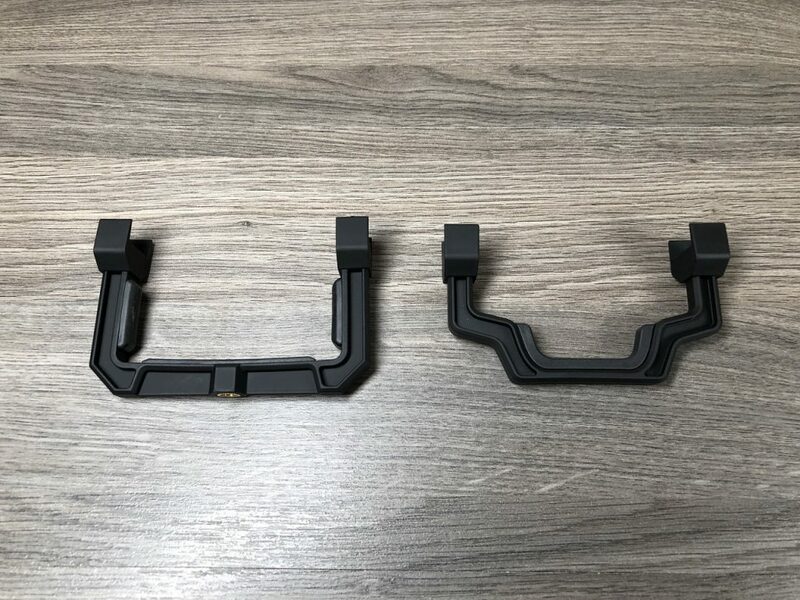 This shows the difference of the DJI spark mount and the Mavic Air mount for the PolarPro Katana. Optional T-Grip for the PolarPro Katana system. Makes capturing low angles easy. 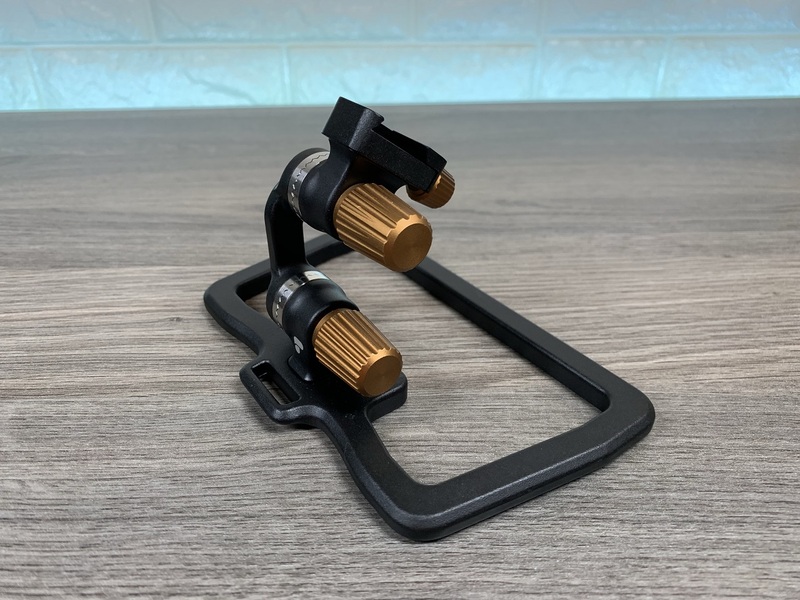 A few weeks back Polar Pro launched one of its newest products called the Flight Deck and I have been waiting for a mount like this for a very long time. 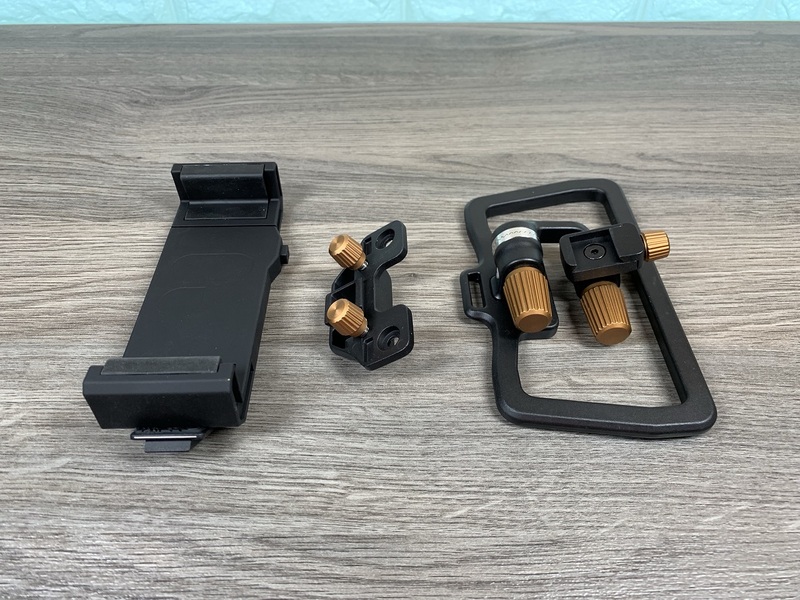 Flight Deck is a system for mounting your Crystal Sky monitor in you DJI Mavic Pro/Mavic 2 and Mavic Air controller. 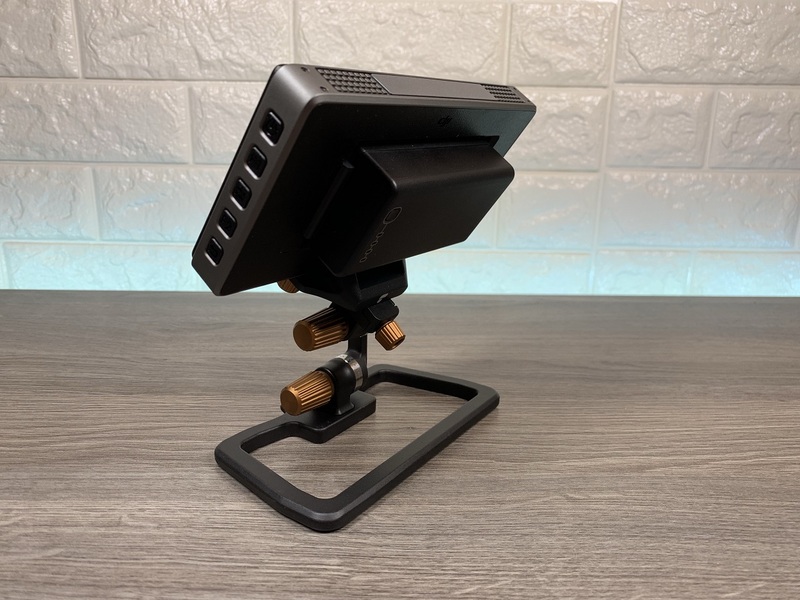 However, with the included free tablet mount it is also a great solution for mounting tablets in the controller as well. The best part is, with its quick mount feature you can swap monitors on the fly quickly and easily with no hassle. 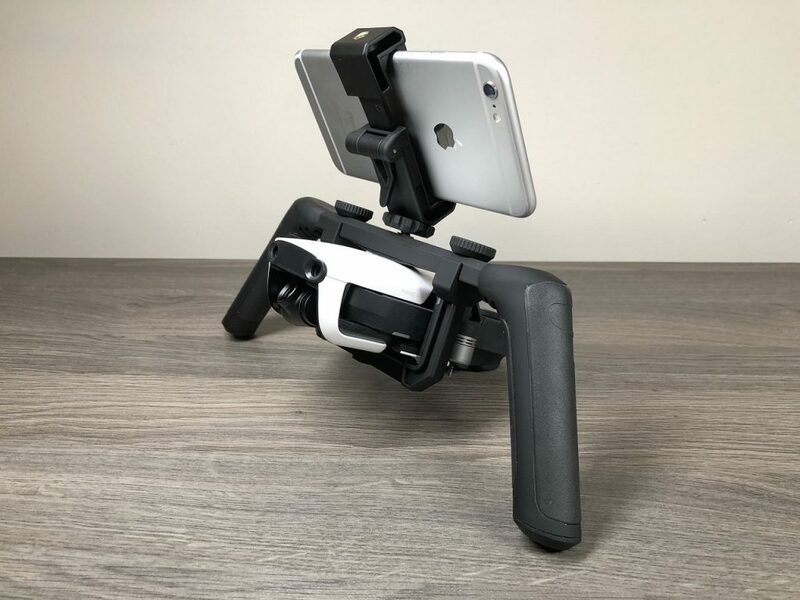 Up until now if you wanted to fly with a Crystal Sky and a tablet or phone it meant you had to bring several types of mounts out in the field with you, not anymore! 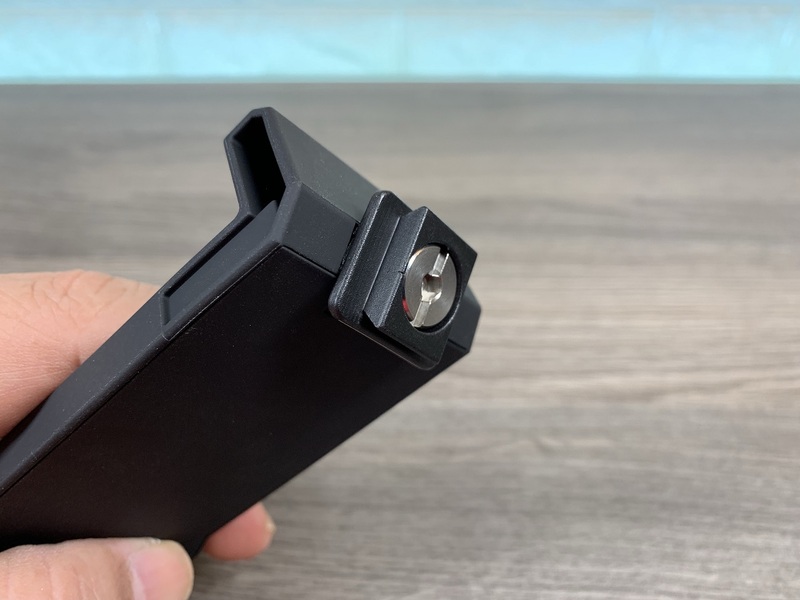 One nice feature that PolarPro included is the removable mounting plate that is attached to the tablet mount, this allows you to remove it and attach it to any smartphone or tablet mount that you wish. This makes the Flight Deck even more versatile. 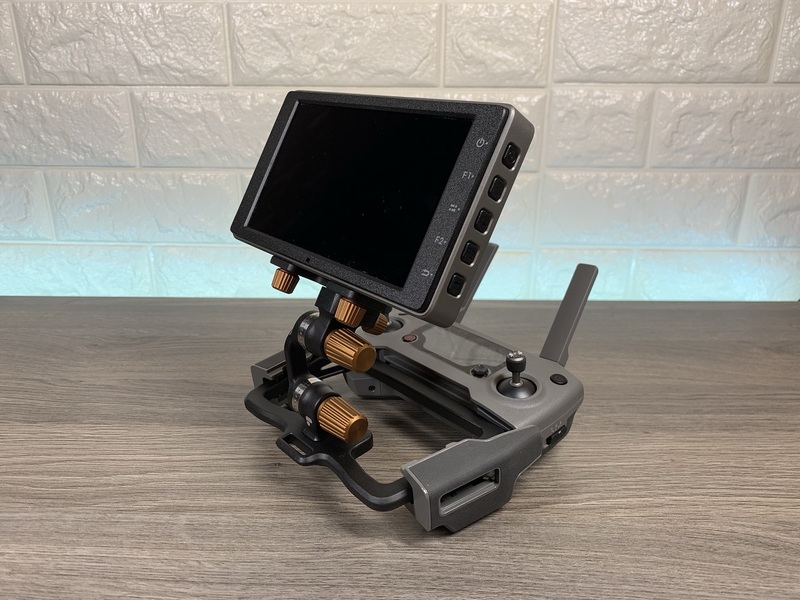 The PolarPro Flight Deck is compatible with Both the 5.5 inch and 7.85 inch Crystal Sky monitors and can be mounted in the DJI Mavic 2 series, Mavic Air and the Mavic Pro/Platinum. 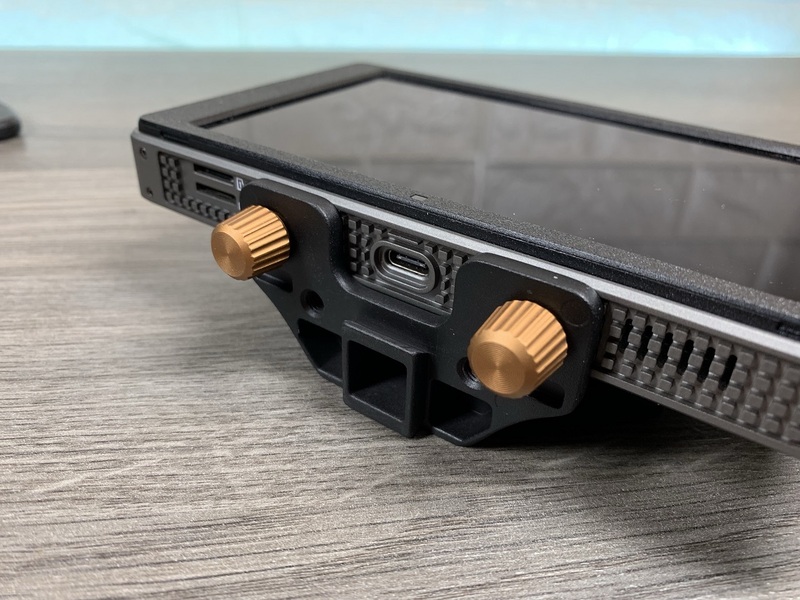 One feature that really makes the Flight Deck stand out from other mounts is the fact that you can adjust both the height and angle of the Crystal Sky, most mounts only allow you to adjust the angle. It has a small loop at the bottom for those who like to attach a lanyard to their remote. When attaching the Crystal Sky to the Flight Deck, no screwdrivers are needed. The flight deck used thumb screws that can even be attached to itself so they won’t get lost when not in use. 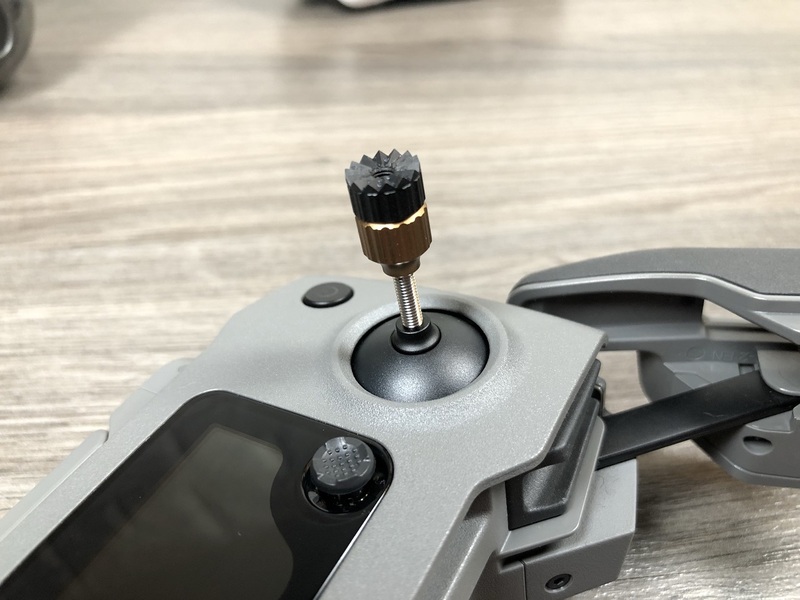 The PolarPro Flight Deck also feature tapered edges that give the unit a much more natural feel when mounted in the controller. 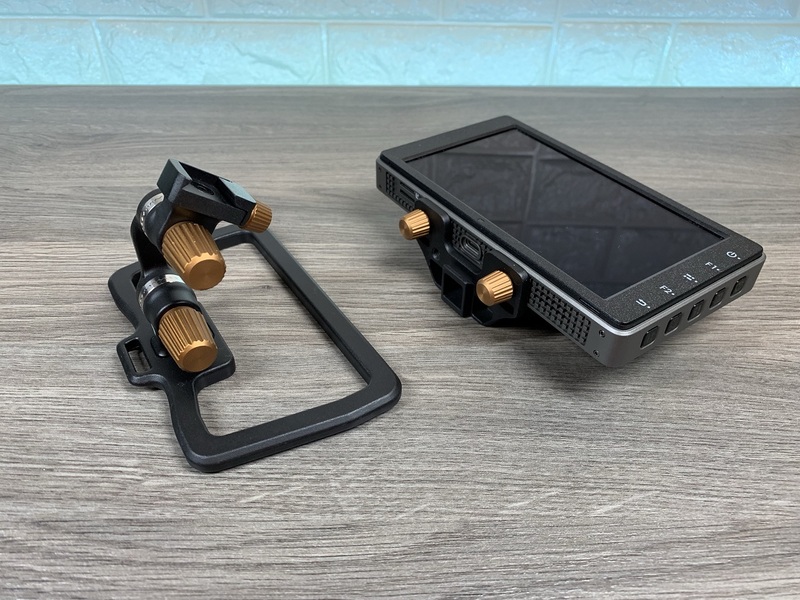 PolarPro states that other mounts will be introduced over time for devices such as smartphones and possibly extra large tablets, making the system even more adaptable. 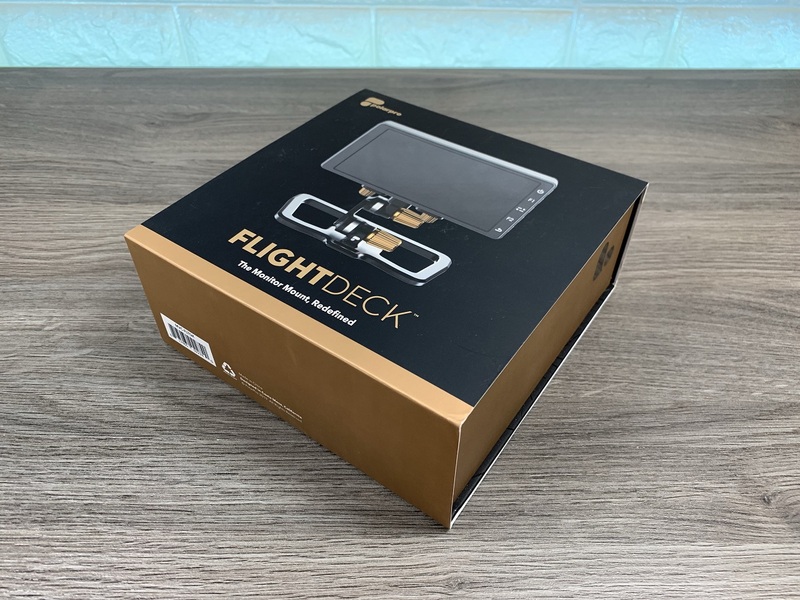 PolarPro’s engineers did a fantastic job in the development of the Flight Deck, a quality build, and a truly useful product. 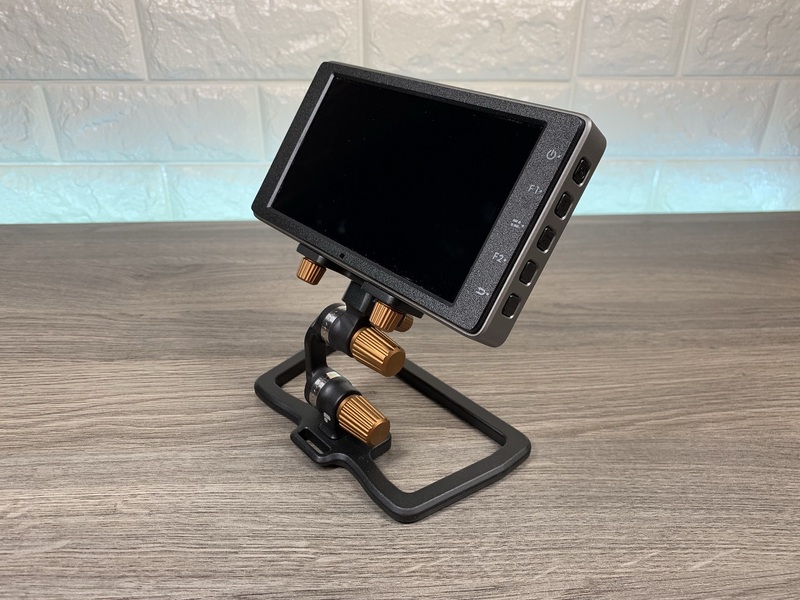 I highly recommend the Flight Deck to anyone looking for a mount for their Crystal Sky or tablet. The PolarPro Flight Deck with 5.5 inch crystal sky attached. The PolarPro Flight Deck with 5.5 inch crystal sky attached – Back View. 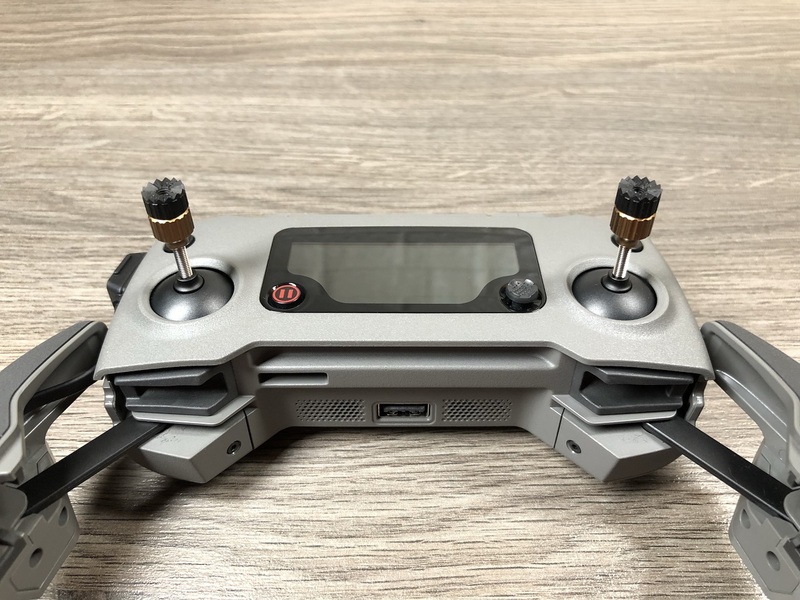 The PolarPro Flight Deck mounted in the Mavic 2 controller. 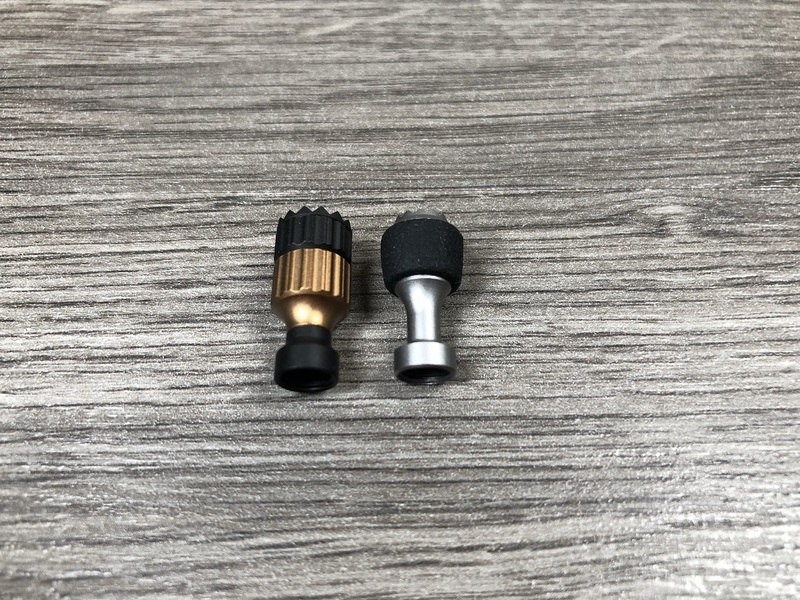 The quick connect/disconnect feature allows you to set up and tear down quickly with no hassles. The PolarPro Flight Deck includes thumb screws to easy attachment to your Crystal Sky. The PolarPro Flight Deck can be adjusted to many angles and heights to accommodate any users preferences. The PolarPro Flight Deck folds up nice and small for easy storage and transport. All parts included in the box of the PolarPro Flight Deck. The PolarPro Flight Deck comes with a bonus tablet mount. 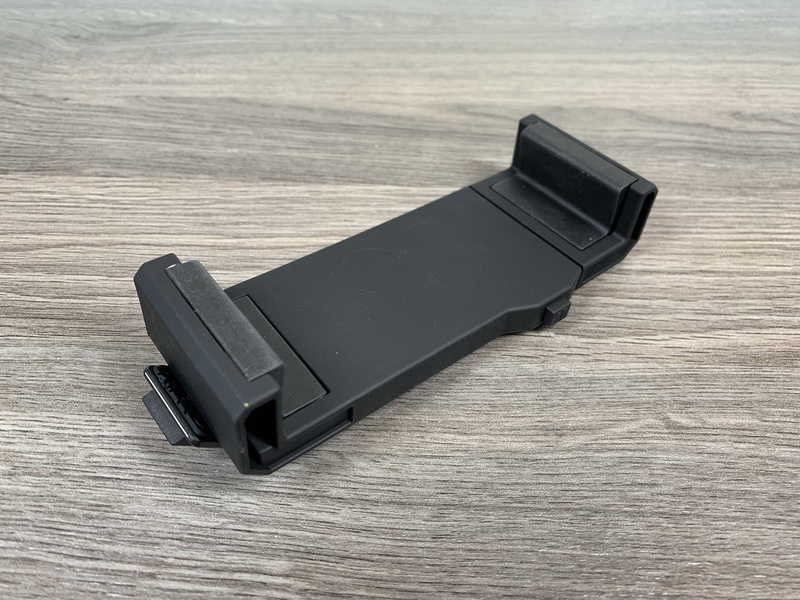 The bottom of the included tablet mount features a removable quick connector that can be attached to any tablet or phone mount with a 1/4-20 tripod connector. 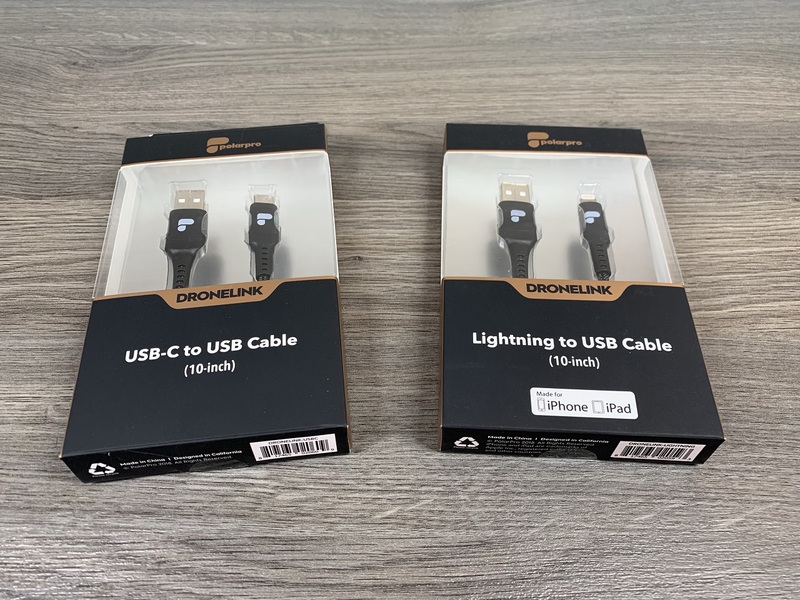 PolarPro 10″ USB-C and lightning cable. Works well with Flight Deck. 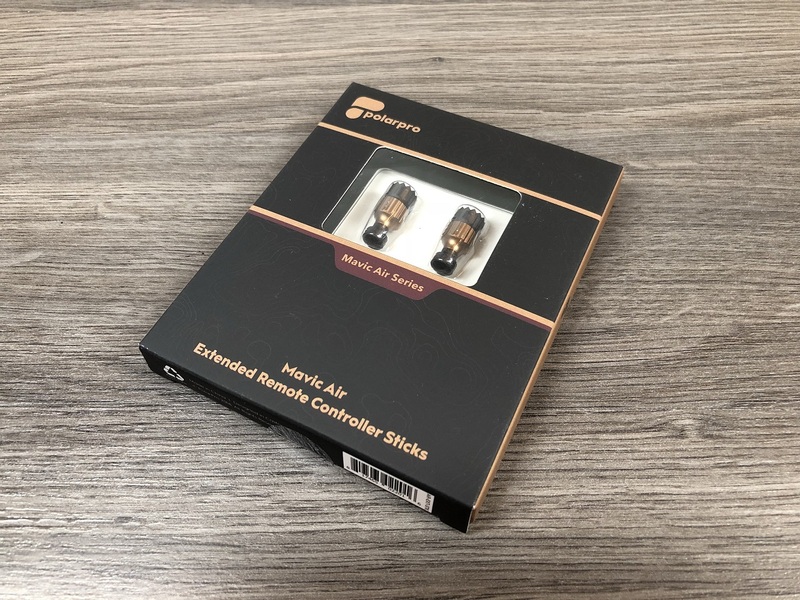 In this video review, we are taking a closer look at the remote extension sticks by PolarPro for the DJI Mavic Air and DJI Mavic 2 Pro/Zoom. When DJI introduced the original Mavic Pro they also introduced its new compact remote. In order to keep the remote small and portable, the control sticks were designed a little shorter than traditional remote sticks. This also rang true when DJI launched the DJI Spark, it also had a small remote and remote sticks. This became the new standard for DJI’s portable drones. 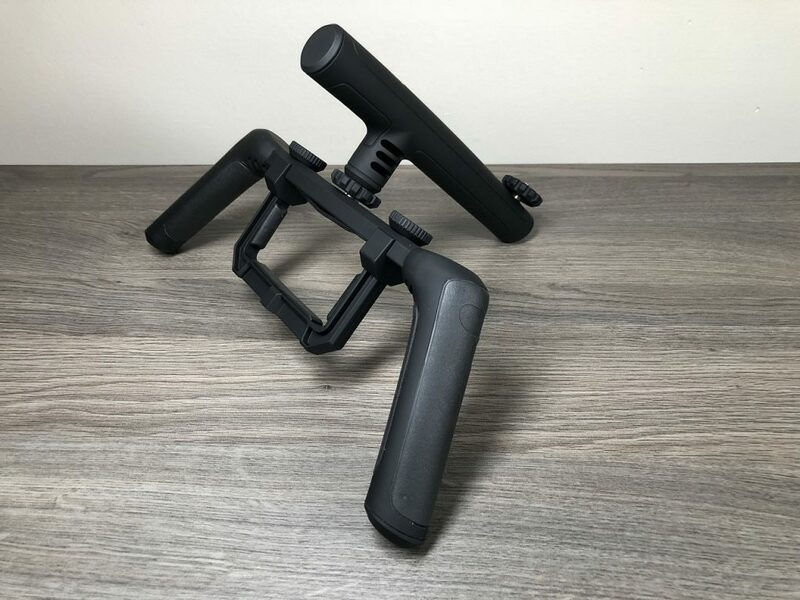 When DJI Released the Mavic Air and the Mavic 2 Pro/Zoom they stuck to the smaller remote sticks even though they could now be removed for even easier packing, this is most likely due to the fact that users are now accustomed to the shorter style remote sticks. The problem with a shorter stick is that it does not give you the fine control as a longer stick, think back to science class and what you learned about levers. 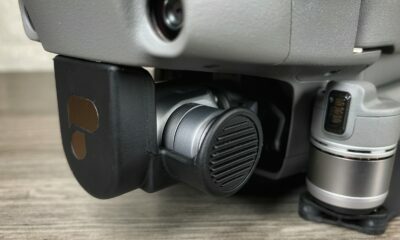 PolarPro has released an ingenious new stick for the Mavic 2 Pro/Zoom and Mavic air. 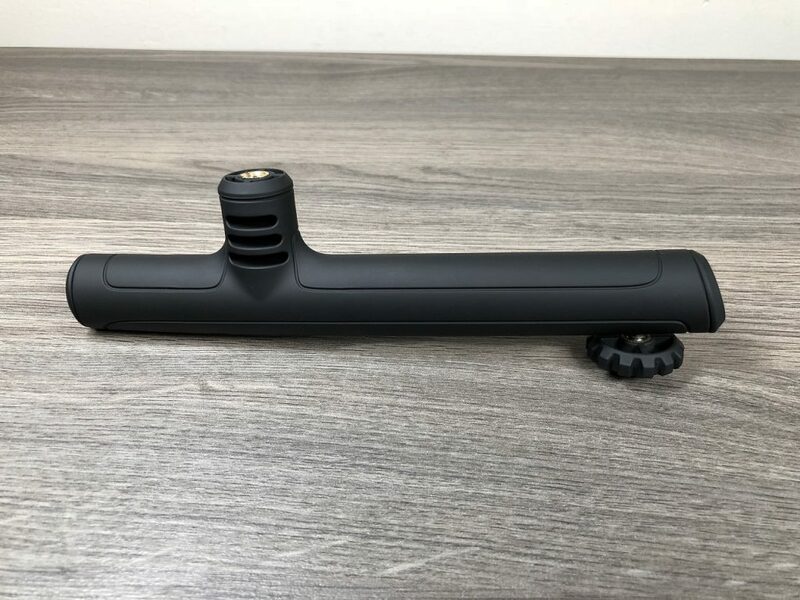 This new stick comes in the same size as the stock sticks from DJI but have the added feature of extending from .75 inch to 1.25 inches. This allows you to set the length to what you feel is best for you. 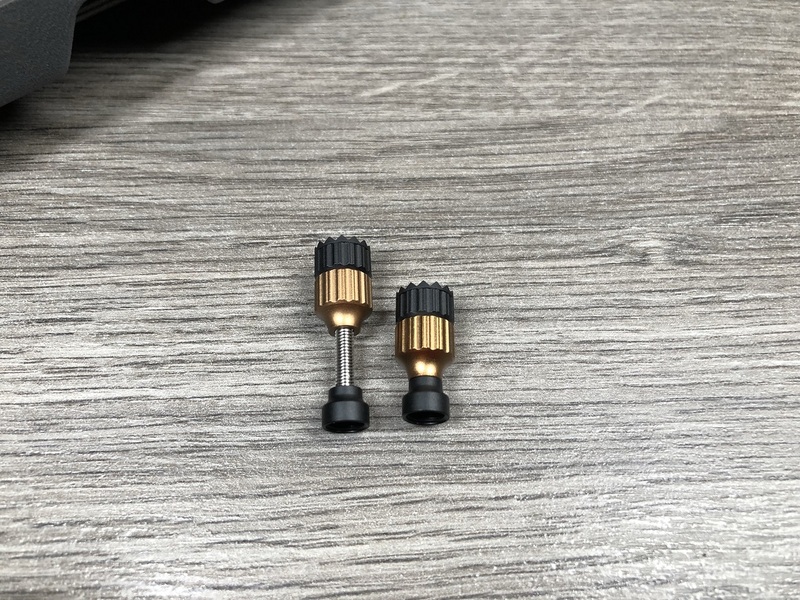 When the sticks are collapsed they are the exact size of the original remote sicks and thus will stow away in the Mavic Air or Mavic 2 Pro/Zoom remote. 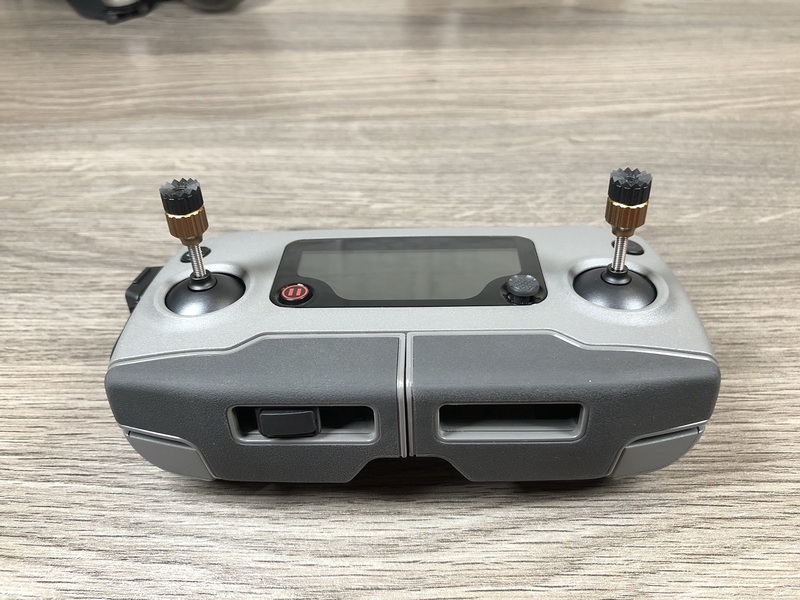 This is a great product for those who need nice precision controls when filming very specific shots with their DJI Drones. 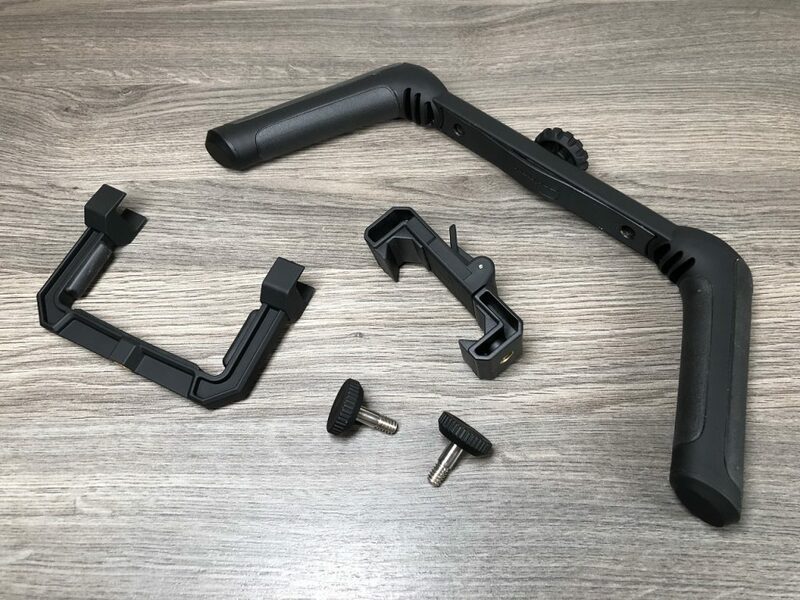 Watch our video review to see the PolarPro DJI Mavic Air/Mavic 2 remote extension sticks in action. PolarPro remote extension sticks extended and closed comparison. The sticks expand from .75 inch to 1.25 inches. PolarPro remote extension sticks attached to Mavic 2 controller. PolarPro remote extension sticks when extended compared to stock DJI sticks. 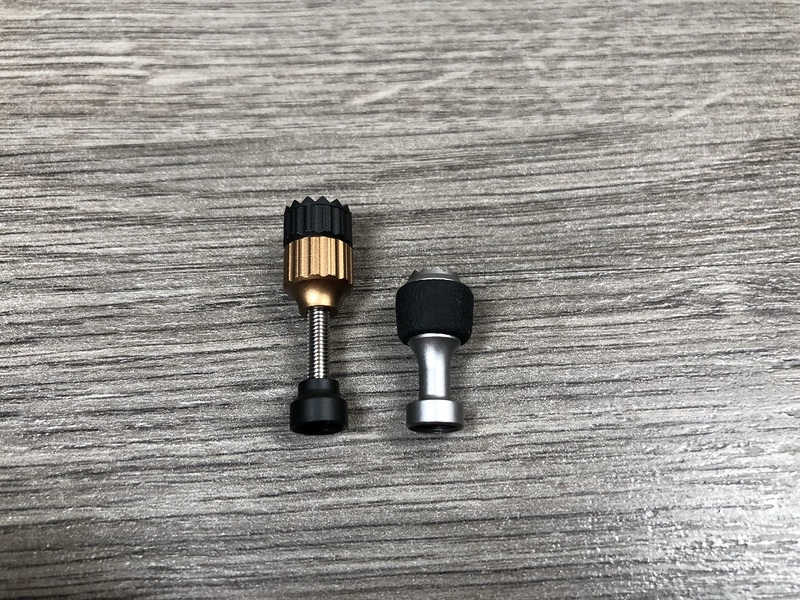 PolarPro remote extension sticks when closed compared to stock DJI sticks. PolarPro remote extension sticks fit nicely in the remote the same as the stock ones.